Beautiful woman's body is identical to that ideal, and is described as a woman who has a slim figure and even tend to be thin. You can see lots of ads that offer a variety of body slimming products. So also when there is a book how to lose weight, will be highly in demand and can even be a best seller. But you need to think about now, whether having the lean healthy body? In fact, if review of health care is too thin or too fat to be at risk of disease. Women's skinny or that limits the amount of meals and replace with low-energy food will be at high risk of ovarian dysfunction. Researchers know there is a risk of infertility in those who weighed lower body. This risk is as great as the women who are overweight. 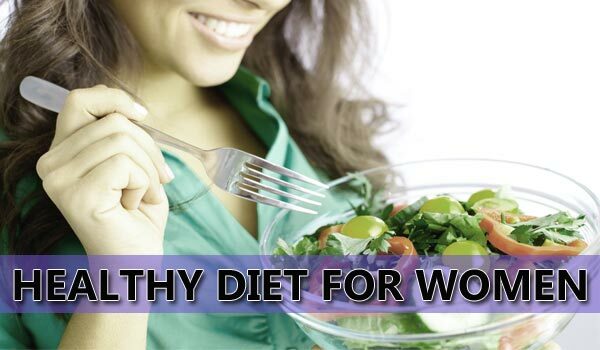 Excessive dieting can also cause no occurrence of the menstrual cycle. This led to a decline in estrogen levels. In fact one of the important functions of estrogens is to store calcium in the bone. If this function is disrupted, the bone will become brittle and women become vulnerable to osteoporosis and fractures. Below normal weight can also cause hipermetabolism glucose in the brain. Whereas glucose is the main nutrient used to maintain brain function in order to remain optimal. If the content of glucose in your diet is less, it will be able to cause a decline in dopamine production. Dopamine deficiency also causes decreased concentration, impaired motor coordination and changes in behavior. Adjust your caloric intake at meals. Add 400 calories so your weight can go up little by little. So that you know the ideal calorie needs, consult with a nutritionist who will give appropriate dietary advice. You can increase your intake of extra servings of carbohydrates, vegetables, fruit and milk. Do this every day. You should avoid are high fat junk food lacks nutrition. People, who have below normal weight at high risk for health problems, so do not make things worse by consuming high-fat foods. Besides beneficial to your body and your health, exercise can also increase your appetite.